Reverend Jesse Louis Jackson, Sr., more commonly known as Jesse Jackson, is a Baptist minister and civil rights activist. Jesse Jackson was born on October 8, 1941 in Greenville, South Carolina. He attended a segregated high school in Greenville. When Jesse Jackson had to decide what to do after graduating from high school, Jackson turned down a contact to play professional baseball with the Chicago White Sox and instead accepted a football scholarship from the University of Illinois, a university that was integrated. Jesse Jackson later then transferred to North Carolina A&T University where he then started to study under Revered Doctor Samuel Proctor, a scholar-theologian. With his encouragement, Jesse Jackson accepted a Rockefeller Foundation grant to study at the University of Chicago’s Chicago Theological Seminary. He was also soon hired to work on the staff of Reverend Dr. Martin Luther King, Jr.
From here on, Jesse Jackson began placing all his attention in the Civil Rights Movement and fought for the economic, civil, and human rights for all people. He headed Operation Breadbasket, which aimed to help improve the economic conditions of black communities across the country. He quickly became famous for his advocacy as an African American leader. In the 1980’s, Jesse Jackson took part in various international activism, such as helping getting an American Pilot released in Syria as well as talking to Saddam Hussein during the Persian Gulf War. He has also travelled to Northern Ireland, Kenya, Belgrade, Venezuela, and other countries to fight for international rights. 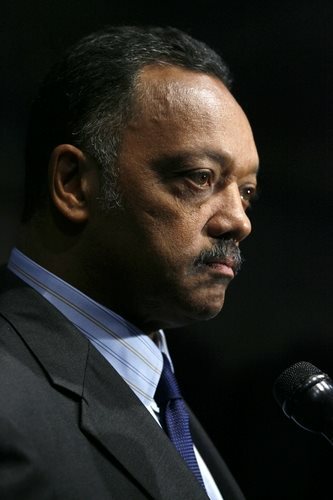 Aside from his advocacy in civil rights, Jesse Jackson has been involved in politics as well. He held a presidential campaign in 1984 as a Democratic candidate and became the first African American man to run a presidential campaign. He tried to run again in 1988, again running as a Democratic candidate. While he gained the party nomination, he lost in November’s general election. Jesse Jackson’s most recent political endeavors included running as a shadow senator for D.C. from 1991 to 1997. He was asked to act as an Ambassador to South Africa, but instead put his efforts in helping his son become a member for the U.S. House of Representatives.